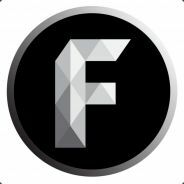 The only Official Freedom Steam Group to help you collaborate and grow! Calling All Rocket League Players! Would you like to compete in a Rocket League tournament hosted on Freedom Central? That's right we currently are planning a series/tournament for Freedom central that will be casted by myself and other members of Freedom. So how the tournament will work on a default tournament format which will be based on Rocket Leagues 1vs1 for the beginning tournament and that can expand depending on the response. So 14 People will go head to head until we are left with a final winner and a runner up. What you I need to do? For now we just need to know if you would like to take part in response to this message, after this we will select 14 people depending on if they meet the final requirements. The way this will go, is it will act like a per episode esports event and it will be showing each game with highlights and moments. How will we gain the footage? It will be edited by our selfs all we ask of the competitors is to save the games reply and then we will show you how to send us those replys. At the moment, we have a few steam keys and program keys to giveaway to the winner and runner up, which adds up to around $100 and $50 for the runner up. Once the ball gets rolling we will begin to add more prizes. If this wasn't enough information, please message me with any concerns. Want to gear up but need a crew? Try searching for people in our new community! Hope to see yall soon! Well, this has to be the first ever Steam Group i'm apart of... but hello fellow Freedomers! Hello there. How it going?